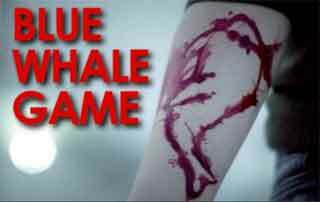 Kolkata: Private hospital, Fortis Healthcare, announced it has launched a 24 x 7 helpline in view of the recent suicides and harrowing experiences by many youngsters and teenagers who have been addicted in the Blue Whale (game) challenge. This helpline – 8376804102 – is dedicated to anyone who is directly undergoing undue mental stress and anxiety as a participant in the challenge. It is also available for family members who are noticing negative behavioural changes among youngsters in their families. The helpline offers to be the medium through which people can freely open up to trained mental health care professionals and avail immediate help, Fortis Healthcare said in a release. This counselling offered directed at both crisis intervention and psycho-education, imparting skills to young people to be able to deal with the situation effectively. Through this helpline, the endeavour is to make help available and accessible to vulnerable individuals as well as concerned friends and family members. This helpline is run by psychologists and psychiatrists from the Department of Mental Health and Behavioural Sciences under the guidance of Dr Samir Parikh. Dr Samir Parikh, Director, Department of Mental Health & Behavioural Sciences, Fortis Healthcare says, “While initially a 0900 to 1700 hours helpline for individuals experiencing any kind of emotional or psychological distress, we have now begun a 24*7 helpline to reach out to individuals who may need psychological support. We have been receiving calls both from teenagers as well as concerned parents. This helpline is geared towards intervening in times of crises as well as imparting psycho-education to help individuals and families cope with the situation. At the end of the day, media literacy is the way forward, to help people critically understand and evaluate media messages so as to not get unduly influenced by them” In keeping with the need of the hour, the Fortis Healthcare is also conducting a series of webinars on media literacy by Dr Parikh where schools from across the country may log in and participate. Through this helpline, the endeavour is to make help available and accessible to vulnerable individuals as well as concerned friends and family members. This helpline is run by psychologists and psychiatrists from the Department of Mental Health and Behavioural Sciences under the guidance of Dr Samir Parikh. Dr Samir Parikh, Director, Department of Mental Health & Behavioural Sciences, Fortis Healthcare says, “While initially a 0900 to 1700 hours helpline for individuals experiencing any kind of emotional or psychological distress, we have now begun a 24*7 helpline to reach out to individuals who may need psychological support. We have been receiving calls both from teenagers as well as concerned parents. This helpline is geared towards intervening in times of crises as well as imparting psycho-education to help individuals and families cope with the situation. At the end of the day, media literacy is the way forward, to help people critically understand and evaluate media messages so as to not get unduly influenced by them” In keeping with the need of the hour, the Fortis Healthcare is also conducting a series of webinars on media literacy by Dr Parikh where schools from across the country may log in and participate. Dr Samir Parikh, Director, Department of Mental Health & Behavioural Sciences, Fortis Healthcare says, “While initially a 0900 to 1700 hours helpline for individuals experiencing any kind of emotional or psychological distress, we have now begun a 24*7 helpline to reach out to individuals who may need psychological support. We have been receiving calls both from teenagers as well as concerned parents. This helpline is geared towards intervening in times of crises as well as imparting psycho-education to help individuals and families cope with the situation. At the end of the day, media literacy is the way forward, to help people critically understand and evaluate media messages so as to not get unduly influenced by them” In keeping with the need of the hour, the Fortis Healthcare is also conducting a series of webinars on media literacy by Dr Parikh where schools from across the country may log in and participate.